Early Christmas gifts, yeah! Who doesn't like it? My collection of Daniel Wellington watches is increasing really fast. My first acquisition was two years ago the Classic 36mm Sheffield, last year I couldn't resist to the beautiful Grace Selwyn 36mm, that's more sportier than the first one, and this year I ordered two beautiful watches from the Classic Black Edition and two amazing bracelets! Christmas is right around the corner and this is the perfect opportunity for you to get yourself or your loved ones a gift. Get a watch on www.danielwellington.com with 15% discount by using the code “StyleByThree” until the 15th of january 2016! Lots of kisses and happy shopping! Prendas de natal antecipadas, yeah! Quem é que não gosta? A minha colecção de relógios Daniel Wellington está a aumentar de ano para ano. A minha primeira aquisição foi há dois anos o modelo Classic Sheffield 36mm, o ano passado tentei-me com o Grace Selwyn 36mm da gama mais desportiva e este ano encomendei dois relógios da gama Classic Black e duas pulseiras lindas! Com o Natal quase a chegar esta é a oportunidade perfeita para oferecerem a quem mais gostam ou a vocês mesmos a prenda ideal! E como eu gosto sempre de partilhar as minhas aquisições preferidas convosco, até 15 de Janeiro ao utilizarem o código ''StyleByThree'' podem usufruir de 15% de desconto sobre qualquer relógio do site www.danielwellington.com! Boas notícias, não são? 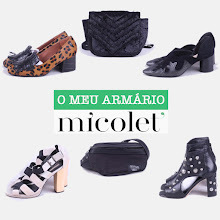 Beijinhos e boas compras!